Substantial evidence exists to support arguments that this highly populated EU capital could support services to a range of points including Stockholm, Hamburg, Geneva, Riga and other long haul destinations in Asia – perhaps by Middle East carriers using connecting points in the Gulf. The annual market potential between Sofia and Scandinavia is over 140 000 O&D in 2016. For the last five years, the region recorded stable traffic growth by 45 percent. 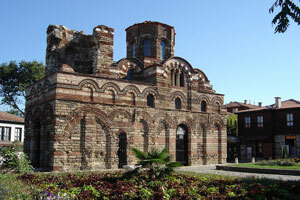 The increasing popularity of Bulgaria as a four-season tourist destination is only one of the drivers of this growth. The expected annual market potential between Sofia and Copenhagen is about 60 00 &D passengers in 2015. 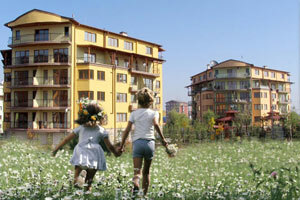 It is the most potential market in Scandinavia with stable market demand. 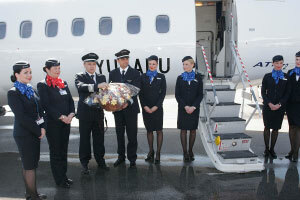 Sofia Airport looks for new services to this route and also to Stockholm, Oslo, Helsinki. The Baltic market has reached about 15 000 O&D passengers p.a. from Sofia in 2014. 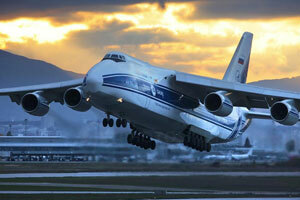 The lack of direct air services is a restraining factor for the further market development. Riga is the preferred route with well-established regional connections to Northern Europe. 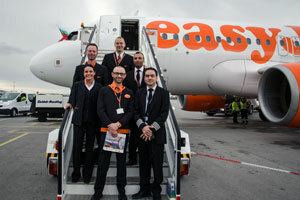 Annually over 24 800 O&D passengers fly from Sofia to South France making connections at congested European hubs. Lyon and Nice both are targeted for new direct routes. In 2014 the Belgium and Netherlands markets achieved respectively 10% and 14% growth on passenger traffic to/from Sofia. 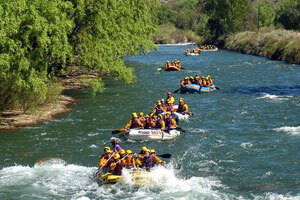 Spain and Portugal are high potential markets with stable market demand. Spain market noted 7% increase in passenger volume in 2014. Beijing, Shanghai, Hong Kong, Singapore, Narita, Seoul, Kuala Lumpur – Carriers from the region might discover Sofia as an alternative and cost effective way to enter the European market trough its eastern border. New York, Chicago, Washington – 100 000 O&D passengers p.a. 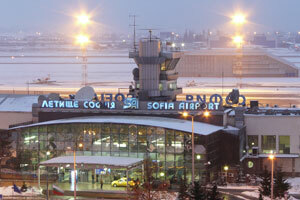 from Sofia to the Eastern Coast with 15% growth in 2014. Another 20 000 are looking for connections to the Southern States. Ethnic traffic and cargo potential have been identified. The modern airport, which has over 70 years’ experience, boasts surroundings with stunning nature and a rich history. 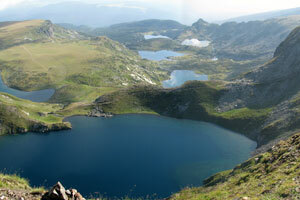 Bulgaria attracts 5 million foreign tourists annually, travelling for leisure alone. 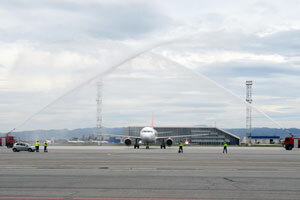 On Tuesday, 2 April 2013, Sofia Airport welcomed easyJet’s first flight on the new Sofia – Berlin Schoenefeld route with a traditional water salute. Mr. Kristian Krastev - Minister of Transport, Information Technology and Communications in the Caretaker Government of Bulgaria greeted the aircraft crew with commemorative goodie bags. 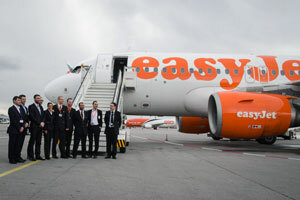 The inauguration ceremony was attended by Mr. Dimitar Bogdanov, Chairman of the Bord of Directors of Sofia Airport, Mr. Veselin Peykov – Executive Director, Sofia Airport and Mr. Peter Voets - Marketing Manager for Austria, Switzerland and Eastern Europe, easyJet. 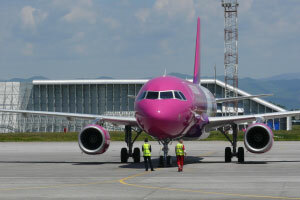 On Friday, 16 March 2014, Sofia Airport welcomed Wizz Air’s forth aircraft based in Sofia. 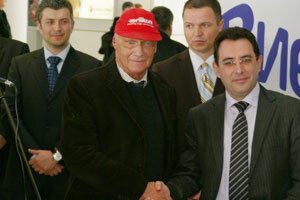 The ceremony was dedicated to the Summer`14 new offers Sofia – Malmo/Copenhagen and Sofia – Tel Aviv as well as increased capacity of some of the existing Wizz Air destinations from Sofia. 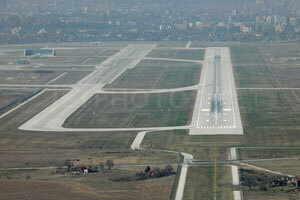 Sofia Airport keeps its tariffs at very competitive levels. The proactive route development initiatives are supported by an extensive scheme of discounts on the airport charges and comprehensive marketing support programme. On Monday, December 17 2014, Sofia Airport welcomed flydubai’s first flight on the direct route Sofia – Dubai (DXB). 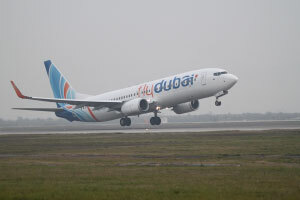 Flydubai becomes the second air carrier to offer flights between the two cities. On Monday, 31 March 2014, Sofia Airport welcomed Air Serbia’s first flight on the route Sofia – Belgrade with a traditional water salute. The air service between the two capitals is renewed after a 15-year interruption. 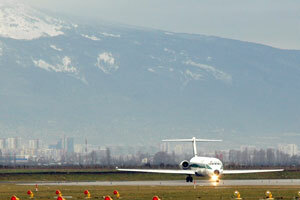 Sofia is located in a central position in the Balkan peninsula, making the EU airport the ideal gateway for a vast area – a catchment of more than 16 million people. 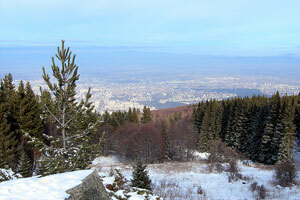 Sofia is a gateway to the EU common market, conveniently located on its eastern border. 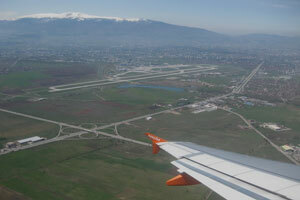 The airport is also at a close distance to other Balkan capitals and large cities: Skopje – 240 km, Thessaloniki – 300 km, Belgrade – 395 km, Bucharest – 400 km, Tirana – 535 km. 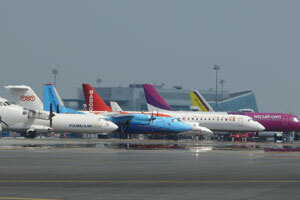 Sofia Airport is the main international airport in Bulgaria, which offers year-round direct flights to more than 40 destinations – 26 of them with daily frequencies. 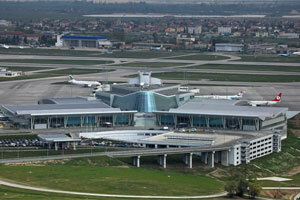 This gives Sofia Airport strength to attract passengers from a population of over 16 million citizens. 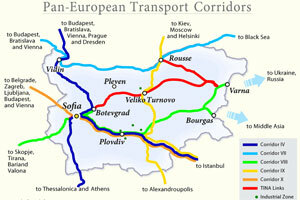 Sofia’s location, where major European roads cross, make it an ideal freight gateway for southeast Europe. A large number of major international investors generate freight and air travel-related opportunities, including Hyundai, Nestlé, Johnson Controls, Microsoft, Hewlett Packard, IBM etc. Among the leading foreign companies represented on the Bulgarian market are Mitsubishi Heavy industries, HYUNDAI, Johnson Controls, Microsoft, Hewlett Packard, IBM, KRAFT FOODS, Nestle. Terminal 1 caters to low-cost and charter carriers, providing bus gates and a capacity of 1.8 million passengers, while the new and modern 56,500 sqm Terminal 2, completed in 2006, caters to full-service airlines. Subway extension opened in April 2015 providing convenient access from Sofia Airport Terminal 2 to the Central Railway and the Central Bus stations. 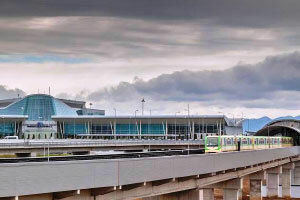 Sofia Airport becomes an intermodal transportation hub with the new metro line inaugurated on 2 April, 2015. The extension provides convenient access to the Central Railway and the Central Bus stations. 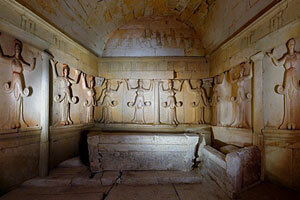 The project was co-financed by the European Regional Development Fund. In the last week of May 2012, Sofia Airport was certified in accordance with the requirements of the International Organization for Standardization (ISO), receiving certificates for two standards: ISO 9001:2008 (Quality Management) and ISO 14001:2004 (Environmental Management). 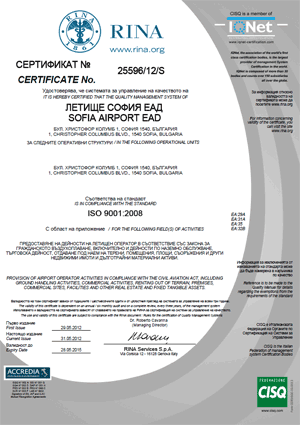 The Certificates are valid for three years and cover all activities performed by Sofia Airport as airport operator in compliance with the CAA Act, inclusive of other activities carried out by the airport company, such as ground handling, commercial activities, rental of terrains, premises, facilities and other capital assets. The development, implementation and certification of the Quality and Environmental Management System as per ISO 9001:2008 and ISO 14001:2004 have been funded by the European Union under the Operational Programme “Competitiveness”. 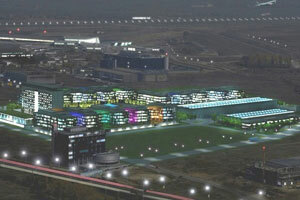 The successful project completion, re-affirmed by the certification audit performed by RINA Group (an Italian company with offices in 42 countries and 150 years of experience in the sphere of market valuation, control, certification and research), is an outcome of the joint efforts of the consultant team and the project management team of Sofia Airport. 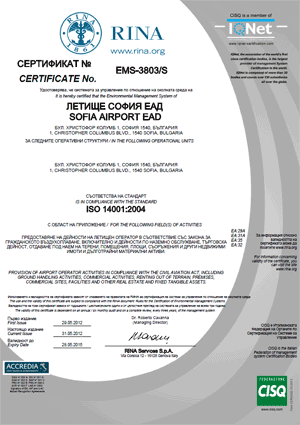 The implementation of the Quality and Environmental Management System in compliance with the requirements of ISO 9001:2008 and ISO 14001:2004, proves that all activities carried out by Sofia Airport are directed towards an effective resource management and incessant service quality improvement, focused on meeting the requirements of the end user. The latest tendencies underlying ISO 14001:2004 promote implementation of an integrated management model, which means that requirements are related not only to service provision, aimed at environmental protection, but also to adequate work conditions and ethics. 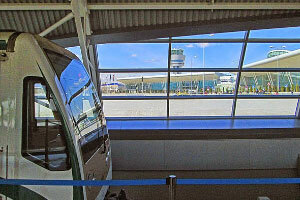 The pursuit and application of these two standards, as a managerial position in respect of Sofia Airport, is a continuation of the policy of the airport company – a responsible and professionally prominent business entity – whose activity is dedicated to meeting the needs of the serviced community.